Marlborough- Gay J. 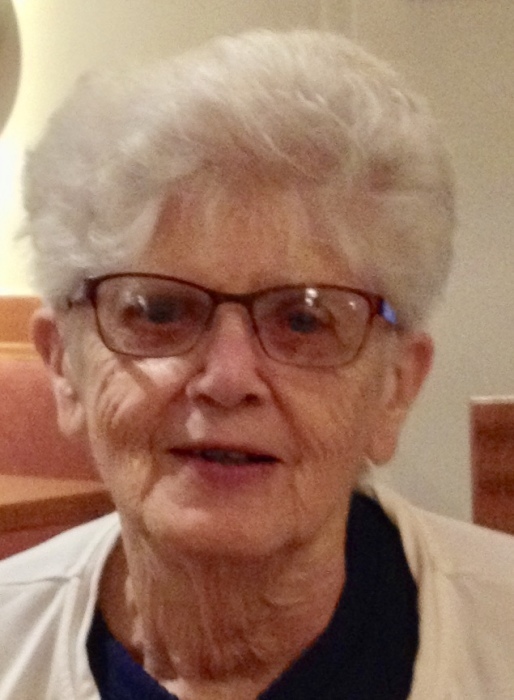 (Bader) Achilles, 83, of Marlborough died Sunday January 20, 2019 at her home. Her husband of 60 years, John T. “Jack” Achilles, Jr. died January 27, 2014. She was born, raised and educated in Milwaukee, Wisconsin, the daughter of the late Albert L. and Adeline M. (Bernhardt) Bader and was a graduate of Washington High School Class of 1953. She moved to Massachusetts in 1954 where she and her Jack raised their four children. Gay worked for Data General in Southborough for over twenty years retiring as a supervisor. She enjoyed travelling, gardening, and her family. Gay was a beloved, cherished and faithful servant of the Hudson Seventh-day Adventist Church and the community at large for many years. She served in capacities such as, secretary, deaconess and song service leader. Her voice, precious smile and giftedness has touched so many and will truly be missed. We look forward to seeing her soon on the Blessed Day of the Resurrection when our Lord Jesus returns in glory. She leaves two sons, David J. Achilles of Rutland and Thomas L. Achilles of Clinton; two daughters, Susan G. Pacitti of West Springfield and Diane M. Finne of Worcester; two brothers, Richard Bader of Wisconsin and Timothy Bader of Arizona; a sister Karen Kosinski of Delaware; nine grandchildren, Shane, Tyler, Melia, Alison, Jessica, Joshua, Yoann, Carly and Nicole; two great grandchildren, Kameron and Kylee; nephews, nieces and cousins. A funeral service will be held Friday January 25 at 11:30 a.m. in the Fitzgerald & Collins Funeral Home, 378 Lincoln Street. A time of visitation will be held prior to the service from 10-11:30 a.m. in the funeral home. In lieu of flowers donations may be made in Gay's memory to the Adventist Development and Relief Agency (www.ADRA.org). Following cremation, private burial will be held with her beloved husband "Jack", at Evergreen Cemetery.